"Affad 23" has an estimate range from 70,000 - 17,000 years ago. The Western recognition of the site is at 15,000 BC. This is over 5,000 years older than Golbekli Tepe. "This finding is in agreement with morphological data that suggest that populations with sub-Saharan morphological elements were present in northeastern Africa, from the Paleolithic to at least the early Holocene, and diffused northward to the Levant and Anatolia beginning in the Mesolithic. Indeed, the rare and incomplete Paleolithic to early Neolithic skeletal specimens found in Egypt - such as the 33,000-year-old Nazlet Khater specimen (Pinhasi and Semai 2000), the Wadi Kubbaniya skeleton from the late Paleolithic site in the upper Nile valley (Wendorf et al. 1986), the Qarunian (Faiyum) early Neolithic crania (Henneberg et al. 1989; Midant-Reynes 2000), and the Nabta specimen from the Neolithic Nabta Playa site in the western desert of Egypt (Henneberg et al. 1980) - show, with regard to the great African biological diversity, similarities with some of the sub-Saharan middle Paleolithic and modern sub-Saharan specimens. This affinity pattern between ancient Egyptians and sub-Saharans has also been noticed by several other investigators (Angel 1972; Berry and Berry 1967, 1972; Keita 1995) and has been recently reinforced by the study of Brace et al. (2005), which clearly shows that the cranial morphology of prehistoric and recent northeast African populations is linked to sub-Saharan populations (Niger-Congo populations). These results support the hypothesis that some of the Paleolithic-early Holocene populations from northeast Africa were probably descendents of sub-Saharan ancestral populations...... This northward migration of northeastern African populations carrying sub-Saharan biological elements is concordant with the morphological homogeneity of the Natufian populations (Bocquentin 2003), which present morphological affinity with sub-Saharan populations (Angel 1972; Brace et al. 2005). In addition, the Neolithic revolution was assumed to arise in the late Pleistocene Natufians and subsequently spread into Anatolia and Europe (Bar-Yosef 2002), and the first Anatolian farmers, Neolithic to Bronze Age Mediterraneans and to some degree other Neolithic-Bronze Age Europeans, show morphological affinities with the Natufians (and indirectly with sub-Saharan populations; Angel 1972; Brace et al. 2005), in concordance with a process of demie diffusion accompanying the extension of the Neolithic revolution (Cavalli-Sforza et al. 1994). " were several other successive migrations of Africans throughout the northern half of the continent and outside of Africa. One of the reciprocal affects of the climate change at the end of the Ice Age (13,000 BC) was the shrinking of the Nile River Valley that most of the Africans in the continent once coinhabited. Conversely new heavy rains vitalizing the adjacent Sahara desert to the West for a few millenniums triggered a migration of those Africans from the Nile River Valley to the Sahara. Lake Chad which was enormous at the time, and a river valley much like the Nile river and the African Great Lakes formed going through what would be Libya into the Mediterranean (shown in the map below). Scholars have speculated that Lake Chad and that river was the location of a major civilization. These Africans brought with them the Saharan Neolithic (that has been noted to actually date back to the Nile Valley to at least around 15,000 BC) or were simply bringing that earlier Nile Valley Neolithic culture that they were said to have had prior to desertification with newly cultivated Saharan Flora & Flauna. The different types of Africans who lived in the ancient Sahara during the fertile period included the Niger-Congo speakers, Nilotes, Cushitic/(Hamites) speakers and Dravidians (of India today). When these Africans migrated from the Sahara during it's different drying phases the spreading of post Ice Age civilization began. "DNA analysis has revealed that two ancient civilizations in Greece were related and shared common ancestors that travelled from modern day Turkey. Scientists believe that the Minoans and Mycenaens were descended from early Neolithic farmers who migrated from Anatolia to Greece and Crete." A quick rehash on the early "Neolithic" farmers/Natufians of the Levant. (Brace et. al. (2006). The questionable contribution of the Neolithic and the Bronze Age to European craniofacial form." "Other studied populations belong to the old Mediterranean substratum, which has been present in the area since pre-Neolithic times. This study indicates a higher proportion of Iberian than Arab ancestry in Tunisian Berbers, which is of value in evaluating the evolutionary history of present-day Tunisians. Greeks seem to share genetic HLA features (Chr 6) with Sub-Saharans. The relatedness of Greeks to Sub-Saharans has been confirmed by other studies based on chromosome 7 genetic markers. Ann Hum Biol. (2010 Jul 29).HLA class I and class II polymorphisms in Tunisian Berbers. Notice the ridiculous term "EuraAfrican" (to suggest degrees of white admixture) is used to describe indigenous African physical diversity in the older anthropological studies as noted earlier. Those Africans in the "High desert west"/Western Kemetic Saharan Desert were Niger-Congo speakers and Dravidians (who originated in Africa and now live in India) who have "narrow"/gracile facial features. Western scientist use to lie and claim that those gracile facial features indicated that they were mixed race. Those features also exist in the Cushitic populations. It was mentioned earlier leading Bio-Geneticist SOY Keita has dismantled those misconceptions that these indigenous groups are the result of admixture from Caucasoids. The study below conducted less than a decade ago confirms that those remains in the Egyptian western desert were in fact black-melaninated Africans. "..the Qarunian (Faiyum) early Neolithic crania (Henneberg et al. 1989; Midant-Reynes 2000), and the Nabta specimen from the Neolithic Nabta Playa site in the western desert of Egypt(Henneberg et al. 1980) - show, with regard to the great African biological diversity, similarities with some of the sub-Saharan middle Paleolithic and modern sub-Saharan specimens....This affinity pattern between ancient Egyptians and sub-Saharans has also been noticed by several other investigators..This finding is in agreement with morphological data that suggest that populations with sub-Saharan morphological elements were present in northeastern Africa, from the Paleolithic to at least the early Holocene... "
The ancient Mesopotamian remains are identical to those found in the Paleolithic-Neolithic "Egyptian" Western dessert, and we can further read that the "ancient Egyptians" of the Western desert were the same as modern day "Sub Saharan Africans". Notice the statement that the ancient Kemites are consistently regarded as "Negroid" by other researchers. This correlates with the Kushite foundation of the civilization that was noted by archaeologist John Baldwin. He was the archaeologist who first deciphered the Conifer script of Mesopotamia and was certain that Nubians founded this Western Asian civilization. “In modern geography the name Ethiopia is confined to the country known as Abyssinia, an extensive territory in East Africa. In ancient times Ethiopia extended over vast domains in both Africa and Asia." and East Asian civilizations. 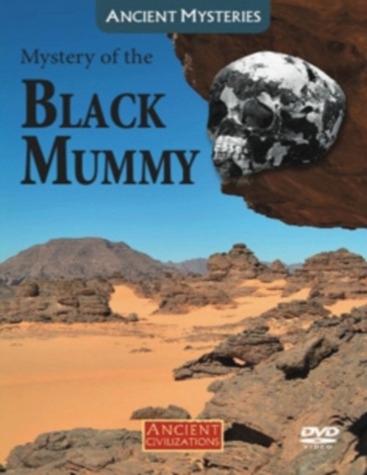 Another strong piece of evidence of the Sahara's pivotal role in early civilization is the fact the oldest known mummy nicknamed "Uan Muhuggiag"/"The black mummy" was found in the southern Libyan region, and this is what is said to have lead to the famed mummification practice later seen in dynastic Egypt. The abandoning of dynastic Nubia-Ta-Seti lead to the rise of Egypt's first dynasty by 3,100 B.C.E. as those Africans from Ta-Seti-Qustul moved from northern Sudan into southern Kemet. More recent discoveries within the last decade have produced more evidence of the first monarchies coming from Nubia. 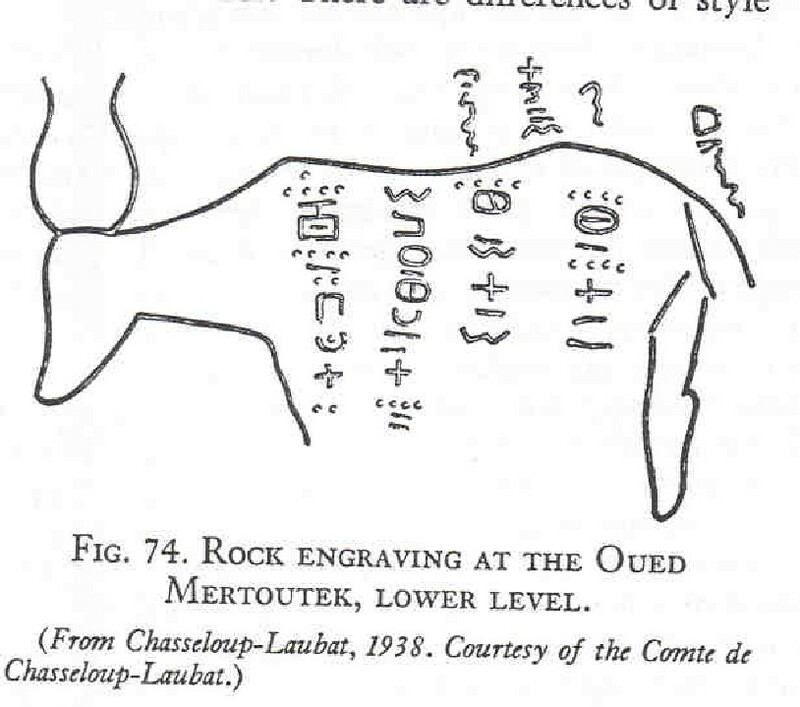 The earliest pharonic depictions have been found with the Nag el-Hamdulab Rock Paintings of Nubia. The region of this discovery belonged to a culture coined by archaeologist as "A-group Nubian". "The tomb is dated to c. 3250 BC and demonstrates that such writing (on bone and ivory labels) is a more advanced form of writing than was evident in Sumer at that date. It is argued, therefore, that the Egyptian writing system, which is in any case very different from the Mesopotamian, could not have been the result of influence from a less-developed system existing at that date in Sumer." He concluded his presentation by noting similarities between specific Egyptian and Mesopotamian objects and suggesting that perhaps there is an initial influence of Egyptian writing on Mesopotamia because there are signs on Mesopotamian objects that are only "readable" from the standpoint of the Egyptian language, but not the Mesopotamian language. The alphabet comparison above proves that the origins of this very writing style ("English", French, German, Spanish etc etc) lacks it's own script! What we are currently using is Roman script, which ultimately came from Nile Valley writing systems. This civilization also vies for the one of the oldest forms of writing with the Mande Script being found on ancient Saharan rock art as ancient as the 4th millennium BC. The biological evidence (in all ranges) is clear that Africans have been involved in every major civilization. Africans are the common link. Then when things like linguistics and culture are taken into account it becomes indisputable. Last edited by Asante; 02-07-2019 at 12:41 AM. Hopefully this one won't turn into a trollfest. OK Asante, rather than "many unidentified scholars supposedly think such and such", how about citation of actual sources? Note that Clyde Winters absolutely does not qualify. Real sources. Cool. I edited in some more sources in the OP. Well, just in terms of genetics, regardless, the absence of any SSA component in ASI or Dravidians essentially invalidates any recent migration theory from Africa. Onge is deeply ENA yet is phenotypically superficially similar to some Sub-Saharan African phenotypes. The first thing I would suggest is to not confuse genotype with phenotype. Well, just in terms of genetics, regardless, the absence of any SSA component in ASI or Dravidians essentially invalidates any recent migration theory from Africa. "The mitochondrial DNA (mtDNA) diversity of 58 individuals from Upper Egypt, more than half (34 individuals) from Gurna, whose population has an ancient cultural history, were studied by sequencing the control-region and screening diagnostic RFLP markers. This sedentary population presented similarities to the Ethiopian population by the L1 and L2 macrohaplogroup frequency (20.6%), by the West Eurasian component (defined by haplogroups H to K and T to X) and particularly by a high frequency (17.6%) of haplogroup M1. We statistically and phylogenetically analysed and compared the Gurna population with other Egyptian, Near East and sub-Saharan Africa populations; AMOVA and Minimum Spanning Network analysis showed that the Gurna population was not isolated from neighboring populations. Our results suggest that the Gurna population has conserved the trace of an ancestral genetic structure from an ancestral East African population, characterized by a high M1 haplogroup frequency. The current structure of the Egyptian population may be the result of further influence of neighboring populations on this ancestral population." The closest match in the entire study was disregarded. The Dravidians were a key group in the hodgepodge of Africans that comprised ancient Nile Valley civilization (Egypto-Nubia). Onge is deeply ENA yet is phenotypically superficially similar to some Sub-Saharan African phenotypes. The first thing I would suggest is to not confuse genotype with phenotype. When people think that it suits the other argument I have seen that logic implied here quite frequently. There is no M1 in India. Are you implying that Cushitic speakers migrated to India? (courtesy to XYman) The study also finds M1 across the Sahelian region of Africa, and into "Sub Saharan Africa" (Senegal), which is in accordance with the archaeological evidence regarding the peal milet in the OP. The opposite..Africa is the origin point of everything. Who built the Indus Valley Civilization? Anybody has some knowledge about the Varna civilization? How comparable are the medieval West African kingdoms to East African city states?